Online Application Details for Maharashtra Postal Circle Recruitment of 06 Skilled Artisan is given below. Application form and duly attested documents are to be sent to Sr. 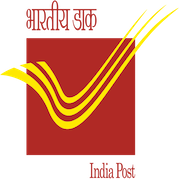 Manager, Department Of Posts, Mail Motor Service, 134/A, S.K.Ahire Marg, Worli, Mumbai 400018. In envelope super scribed with 'Application for the Post of Post Name'.